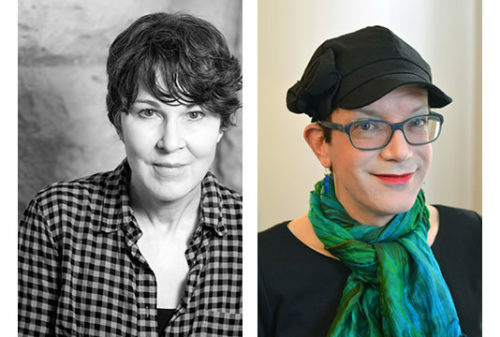 Join us as Rain Taxi and Graywolf Press present two acclaimed poets reading from their latest works. Books will be available for purchase courtesy of Magers & Quinn Booksellers, and a reception will follow. Don’t miss this wintertime poetry celebration! This is a ticketed event. Advance ticket sales have ended. You can still purchase tickets at the door ($5 each)—doors open at 6:30pm. All are welcome! 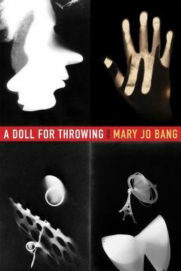 Mary Jo Bang’s most recent book is A Doll for Throwing, which takes its title from Bauhaus artist Alma Siedhoff-Buscher’s Wurfpuppe, a woven doll that, if thrown, would land with grace. Bang’s prose poems in this fascinating book create a Bauhaus-era speaker who witnessed the school’s shuttering by the Nazis in 1933. Since this speaker is not a person but only a construct, she is also equally alive in the present, and gives voice to the conditions of both time periods: nostalgia, xenophobia, and political extremism. Bang is the author of six previous books of poetry, including Elegy, winner of the National Book Critics Circle Award. She has also published a celebrated translation of Dante’s Inferno. She teaches at Washington University in Saint Louis. 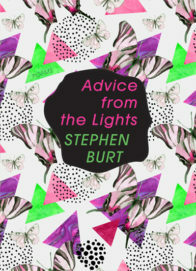 Stephanie Burt’s most recent book is Advice from the Lights, which asks the question: How do any of us achieve adulthood? And why would we want to, if we had the choice? 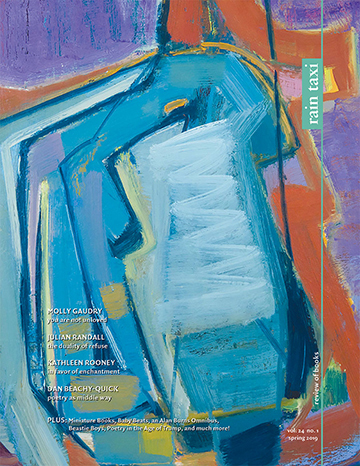 With poems on politics, childhood, gender identity, parenthood, desire, pop music, and more, it’s an accomplished collection by someone who occupies an exciting and original place in American poetry. Burt is Professor of English at Harvard and the author of several previous books of poetry and literary criticism, among them Belmont and Close Calls with Nonsense, as well as the Rain Taxi chapbooks Why I Am Not a Toddler and All Season Stephanie. This entry was posted in Uncategorized on January 9, 2018 by Kelly.